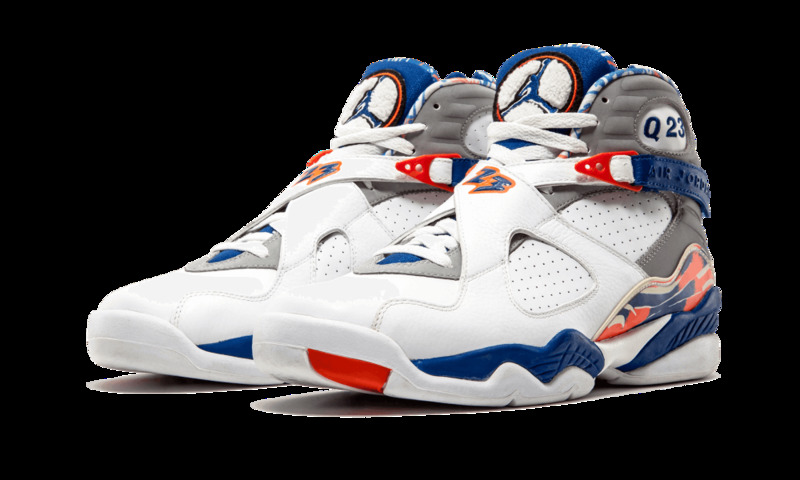 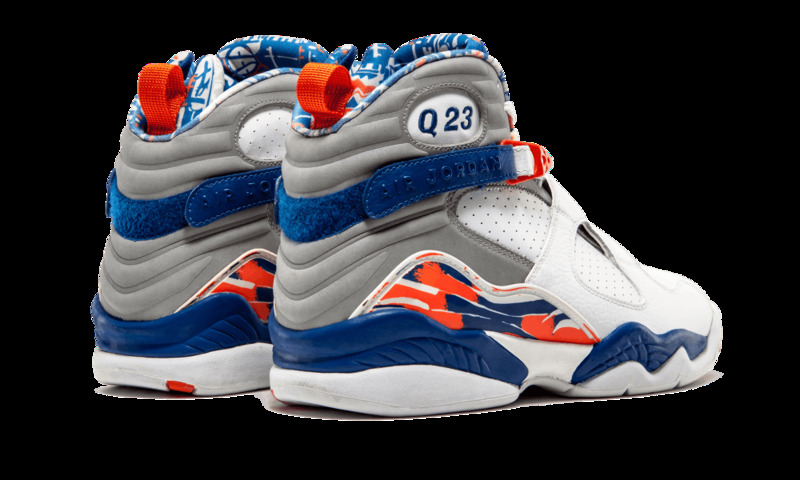 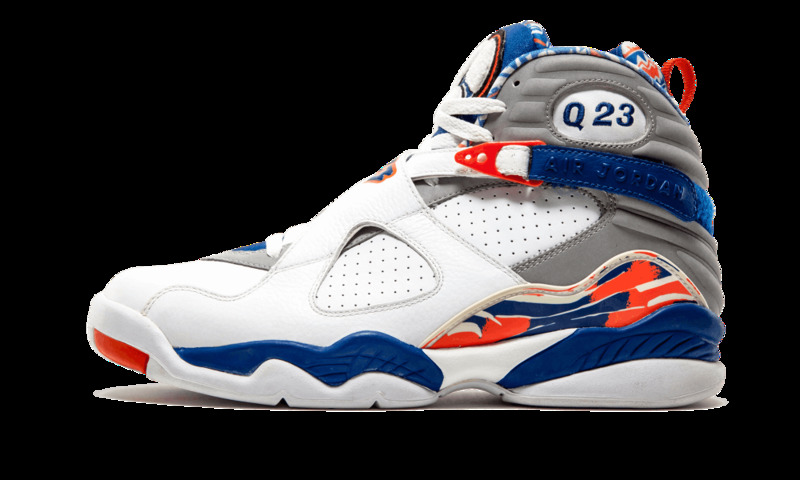 This rare PE colorway of the Air Jordan 8 was created for Quentin Richardson during his days with the New York Knicks. 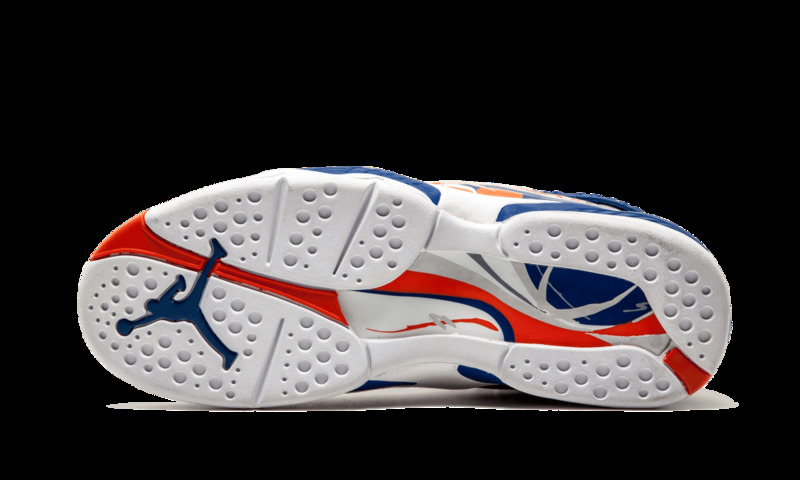 It features a “home” color scheme. Never released at retail, this is one of the few pairs in existence.